Melasma is a common skin condition that results in an increase in brown pigmentation, known as melanin, causing brown to gray-brown patches to appear on the face. The most commonly affected areas are the cheeks, bridge of the nose, forehead, chin, and above the upper lip. It can also appear on other areas of the body like the forearms and neck that get chronic sun exposure. Melasma itself does not cause any symptoms, but it can result in deep, discoloured patches on the face and have a damaging effect on one’s self-esteem. Sun protection and treatment can help alleviate these negative effects. The cause of melasma remains unclear, but it is thought to occur from the overproduction of melanin cells in the skin (melanocytes). People of colour are more prone to melasma because their skin has more active melanocytes than lighter coloured skin. Sun exposure: Ultraviolet (UV) rays from the sun stimulate the production of melanin. which is why melasma often is worse in summer. In fact, just a small amount of sun exposure can cause melasma to return, even after fading. Change in hormones: Melasma is common in pregnant women, and is referred to as chloasma, or the mask of pregnancy. Birth control pills and hormone replacement medication can also trigger melasma. Skin care products: The use of some products may irritate your skin, causing melasma to worsen. One of the most common treatments for melasma is sun protection. This means wearing a premium grade sunscreen every day, and reapplying the sunscreen every 2 hours. All laser skin treatments work on the basis of the “heat and heal” phenomenon. Essentially, the treated areas of skin are damaged by the intense heat of the laser, and the skin’s recovery process is triggered, resulting in an increased production of collagen, one of the building blocks of youthful skin. With the IPL laser treatment, the laser energy literally shatters the dark pigment, which is then absorbed by the body, allowing the skin tone to appear more even and smooth. 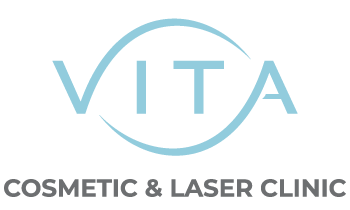 Vita Cosmetic & Laser Clinic offers Intense Pulsed Light (IPL) for melasma. Contact us us at 416-639-1882 to schedule a free consultation.